What are the secret essential oil recipes for perfume, health or just to feel good? Being an essential oil goddess is very important to me. I love the smell of essential oils. They make me feel good! Others ask about it. People notice natural perfume. Have you ever smelled those fake perfumes when someone walks past? It makes me sneeze and sometimes makes me gag! It is because we are breathing in chemicals. Most perfumes are based on synthetic ingredients. My favourite aromatherapy perfume recipes for romance and to create a stress-free day at the office are down the page. Also, if you are looking for essential oils to help you quit smoking, you have come to the right place. Pure, genuine, therapeutic essential oil is so important. But first, some insight into how aromatherapy works. It is about mind, body and spirit. OK, so I am going to get a little technical here. If you prefer to get straight to the essential oil recipes, scroll down the page. Our sense of smell is very complex. We all agree that some things smell awful, rotten eggs or a car exhaust. Other smells seem nice to most of us - fresh flowers or freshly baked bread. Smelling can also trigger memories or other feeling that may release an emotion. The emotional release triggers hormones and automatic responses affecting heart rate, blood pressure and other physical feelings. We feel good! Or it can have the opposite effect. Sometimes we don't know what the essential oil may trigger. When essential oils are breathed in, it is possible for them to enter the bloodstream and travel around the body for a number of hours before being eliminated. The cerebral cortex and limbic system of the brain are the areas of the brain where messages about smell are sent. This area of the brain controls a number of main functions such as sleep, sexual drive, hunger and thirst and it also relates emotion to memory! There is a connection. Chemicals within the brain are triggered by different scents! 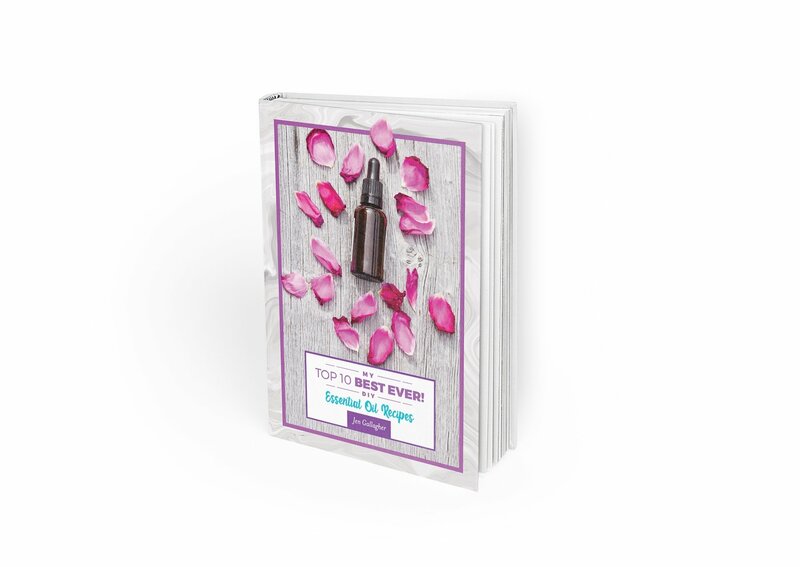 The aromatherapy perfume recipes that you are about to make takes on a whole different perspective for you and anyone around you! There is a good chance there will be a physical response just by smelling the essential oils. Perfume for a night out for romance must start with one of my favourites - sandalwood essential oil. If you want to check out my blending basics, go here first. A blend of sandalwood essential oil, patchouli essential oil and ylang ylang essential oil would be perfect! If you would like to make into a body lotion to use after a shower, add 2 drops of each oil to 10mL of carrier oil. I suggest sweet almond oil. It is moisturising and won't overpower the essential oils. I am metric, but if you would like to convert to your own measurements try this online convertor. For a stress-free day at the office try a blend of 2 drops lavender essential oil (calming), 2 drops lemon essential oil (clarity of thought) and 2 drops of myrtle (for soothing any negative feelings). You could wear this yourself or make a blend in the same proportions and inhale throughout the day. If you are able to have a diffuser at work, add the oils and diffuse throughout the day. Fifteen minutes to start with, (especially if you have people in the office who are not used to essential oils) then gradually increase the time. Do you have a bad habit and want essential oils to help quit smoking or overeating? Cinnamon essential oil and peppermint essential oil are both very useful. Inhaling these oils (separately!!) may help curb cravings. Roman chamomile may also be useful. Direct inhalation is best. So carry a bottle around with you or put one or two drops on a tissue and keep in you pocket and use as needed. Sometimes extra support is needed in changing the normal consciousness for a time. Imagine combining essential oil recipes with hypnosis. It can be a very effective tool for increased relaxation or to assist with breaking a habit such as smoking or overeating. Combined with essential oils the potential of hypnosis is unlimited! Experiment and use the guidelines of basic blending to have fun making essential oil recipes! Notice when essential oils make you feel good and get the attention of people around you. It will happen! You are a goddess!